Contrary to what you might believe, estate planning is not reserved for the old and rich. Over the course of the next few estate planning posts, I'll try to prove my point, that an estate plan is appropriate for everyone, regardless of your station in life. Today, I'll discuss the category that I fall within: Young Professionals. And, yes, I'm still young . . . in my own mind. Congratulations! You just graduated, and landed a new job that will serve as the launching pad for your exciting new career. To celebrate, you purchased a new car, financed a new house, and began investing. You're young and full of potential--understandably, the last thing on your mind is an estate plan, or dying without a plan. I get it. No one wants to think about it, but since you are reading this, go ahead and ask yourself: Do you know what happens to your stuff (i.e., who will inherit your new wealth) and manage your affairs if you do pass early? The answer depends on whether you have established an estate plan. All of my estate plans include a will (sometimes referred to formally as a Last Will and Testament). A will drafted by an Arkansas estate planning attorney contains dispositive provisions that will dictate the distribution of your assets. If you establish a will, then you get to determine your estate's distribution scheme. 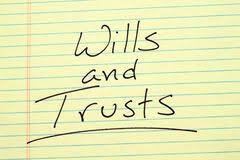 Just as important is that if you have a will, you also can determine who does not receive your estate. Once the will is admitted to probate, the terms of your will take effect. In essence, if you have established an estate plan, and have a will in place, you can have the piece of mind in knowing exactly how your estate will be distributed. On the other hand, if you die without a will, then Arkansas law (or the law of the state where you live) will dictate who inherits your estate. In some cases, the end result is the same as having a will, but in most, it isn't. Estate planning is personalized, and an estate planning lawyer can guide you through the process. Inheritance without a will (intestate succession) is not straight-forward, unfortunately. Heirship is often determined by a court, and will depend on whether the decedent was survived by a spouse, children, parents, siblings, etc. If the decedent was survived by a spouse, then the manner of distribution through intestate succession will depend on the length of time the decedent was married. I'll explain this nuance in a later post. A complete estate plan will include a number of legal instruments that are designed to make distribution and estate management predictable. With respect to your will, not only can you name your estate beneficiaries, but you also can determine the proportion in which the beneficiaries will receive those assets, and when they will be distributed. In a will, you can also designate fiduciaries who are charged with managing your estate according to your wishes. Your will can establish a trust, provide for the care of your animals, name guardians of minor children, and provide for charitable contributions. If you choose to not plan for your eventual demise, then none of these options are possible. One thing that keeps a lot of clients from completing their estate plan is the fear that they are making a wrong decision with regard to their estate. With the exception of an irrevocable trust, all estate planning decisions are revocable, meaning your estate plan can almost always be revoked in full, or in part. They are generally amendable at any time. The hardest part is starting the process. If you have any questions about estate planning, I invite you to contact our office for a consultation. Estate planning is personal, as there is no one-size fits all approach. For that reason, I would be glad to discuss your personal situation in order to determine if there is any way that an estate plan could assist your personal situation. C. Michael Daily is an Arkansas estate attorney with the long-established law firm of Daily & Woods, P.L.L.C., and is licensed to practice in all cities in Arkansas including Fort Smith, Fayetteville, Springdale, Bentonville, Lowell, Rogers, and Bella Vista. You can follow C. Michael Daily via social network using any of the social network links in the right hand column of the page. You can also contact Mr. Daily by telephone at 479-242-3953, or by e-mail at mdaily@dailywoods.com. Disclaimer: This blog is for informational purposes, is certainly not to be considered legal advice and is absolutely not a substitute for any of the benefits that are associated with the attorney-client relationship. Your situation is unique--if you need an attorney, contact C. Michael Daily for assistance.